The first Melkite Catholic priest arrived in Sydney 126 years ago. Thanks to that pioneering priest, Fr Sylwanus Mansour, the first non-Western church was established in Sydney. St Michael the Archangel Melkite Greek Catholic Church on Wellington Street, Waterloo, had its foundation stone laid in 1893. 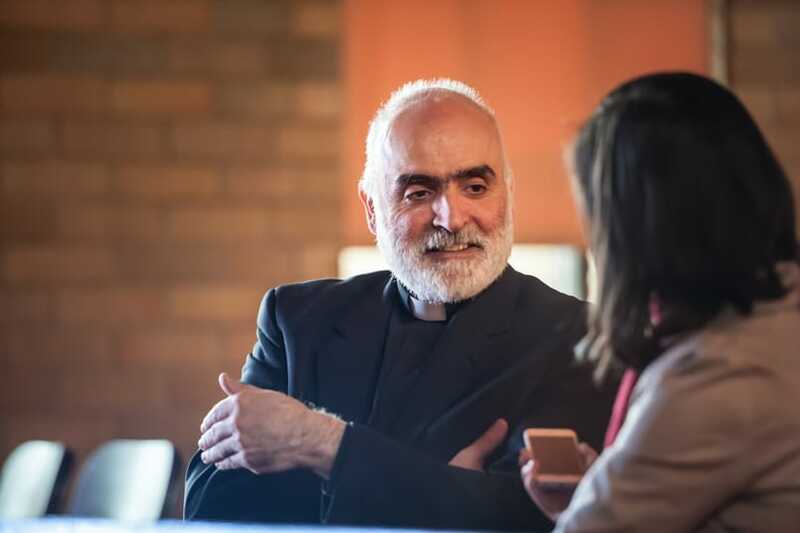 “At the time it was something strange, perhaps exotic,” says Bishop Robert Rabbat, bishop of the Melkite Catholic Eparchy of Australia and New Zealand. Most Melkites who migrated to Australia came from Syria, Lebanon, Egypt and Sudan. 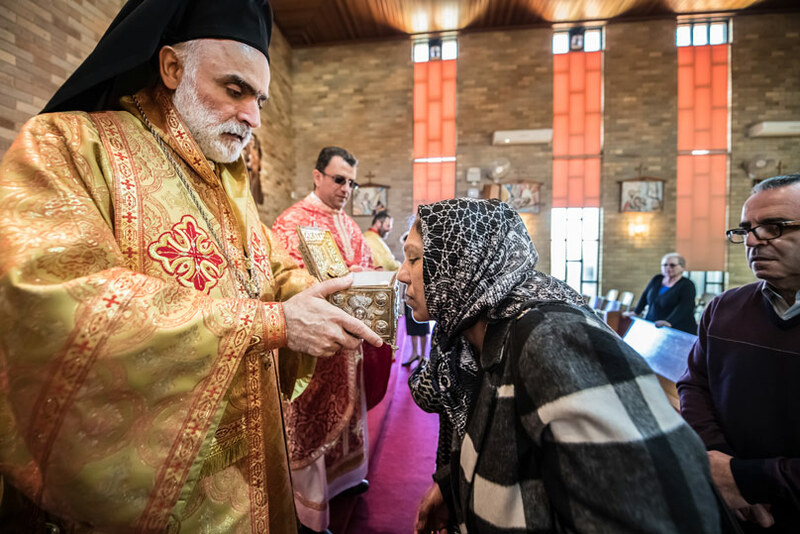 Bishop Rabbat estimates there are around 50,000 Melkite Catholics in Australia today, although many of them practise their faith within the Roman Catholic Church, due to the large number of Roman Catholic parishes and schools. But who are the Melkite Catholics? Where did their Church originate, and how does their worship differ from the Roman Catholic Church? A Melkite woman reverences a relic of St Mariam. The Antiochian Melkite Greek Catholic Church—as it is officially known—is an Apostolic Church that came into being in the first century. “Antiochian because we come from Antioch, where the first See of St Peter was established and the first followers of Christ were called “Christians”; Melkite because we are Chalcedonian; Greek because we follow the Byzantine tradition and Catholic because we are in communion with Rome,” Bishop Rabbat said. “Melkite” was the name given to those early Christians in Antioch (now in Turkey) who agreed with and accepted the teaching of the Ecumenical Council of Chalcedon in 451, that Christ is one divine person with two natures: human and divine. “Melkite” is derived from the Syriac word “Malkoyo” meaning “followers of the king”. After the Great Schism of 1054 when the Eastern (Orthodox) and Western (Roman) Churches went their separate ways, the Antiochian Melkite Church, being in union with the Patriarch of Constantinople, found itself estranged from the Roman Catholic Church. As all Apostolic churches do, the Melkite Catholic Church celebrates the same seven sacraments as the Roman Catholic Church. A Roman Catholic can attend a Melkite liturgy as a fulfilment of the obligation to attend Sunday Mass, and likewise a Melkite Catholic can fulfil the Sunday obligation by attending a Roman Catholic liturgy. Melkite liturgies are a feast for the senses with beautiful Eastern-style priestly vestments, the use of icons, liturgical music from the Greek Byzantine tradition, and a definite love for incense and processions. The priest faces ad orientam (toward the east) during Mass, and Holy Communion is offered under both species—leavened bread and wine. Here in Sydney, Melkite Catholics celebrate liturgies in both Arabic and English. As Easterners who are in union with Rome, Melkite Catholics have taken upon their shoulders the mission of being a bridge between East and West. “The Second Vatican Council expressed the fact that though we are Catholics, we are also Easterners and need to preserve our Holy Tradition. Thus, we have always tried to foster the dialogue between East and West,” Bishop Rabbat said. The relationship between the Eastern and Western churches is improving slowly but surely, he says. Melkite Catholics play an important role in this on-going ecumenical dialogue between East and West. “With the help of the Holy Spirit I believe the doors are becoming more and more open. Dialogue is taking place, and God willing hopefully soon we’ll see the result of unity, while preserving diversity, and that cannot but be pleasing to our Heavenly Father.